Not only does the self-styled evangelist who goes by the name Brother Hollis habitually quote the Bible, he also dresses in accordance with scripture. His daily all-white look is inspired by a verse in Revelation 3:4: "They shall walk with me in white, for they are worthy." 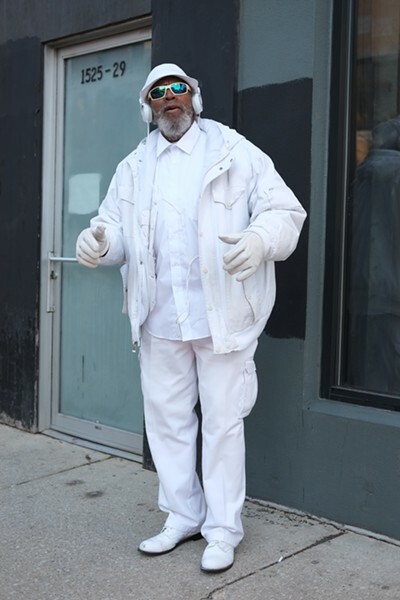 "I'm trying to live righteously," Hollis says, "and wearing white reminds me to do everything with a sincere heart."